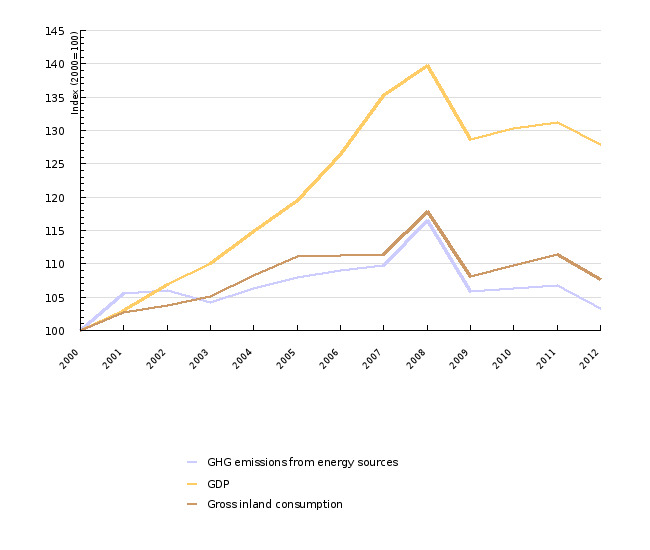 Energy use in 2011 contributed more than 80% of total greenhouse gas emissions in Slovenia. 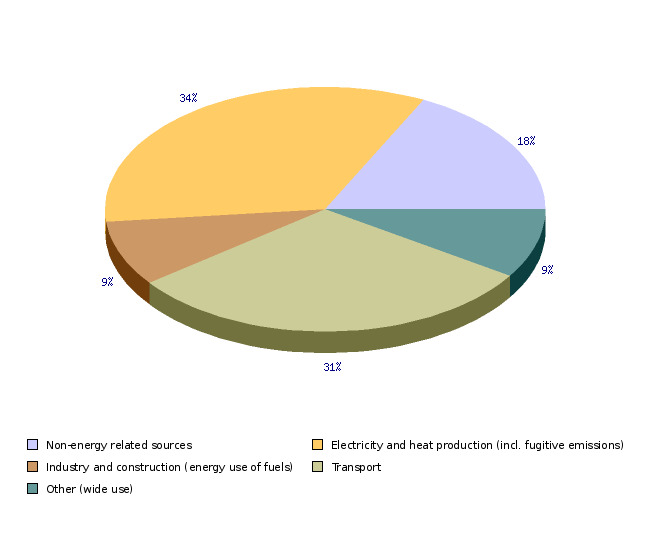 The largest source of emissions is the production of electricity and heat (34%), followed by transport (28%). With the introduction of trading in greenhouse gas emissions in the EU (EU-ETS) to achieve Kyoto targets and other objectives of the country to reduce greenhouse gas emissions only important sources in the EU ETS are not included. 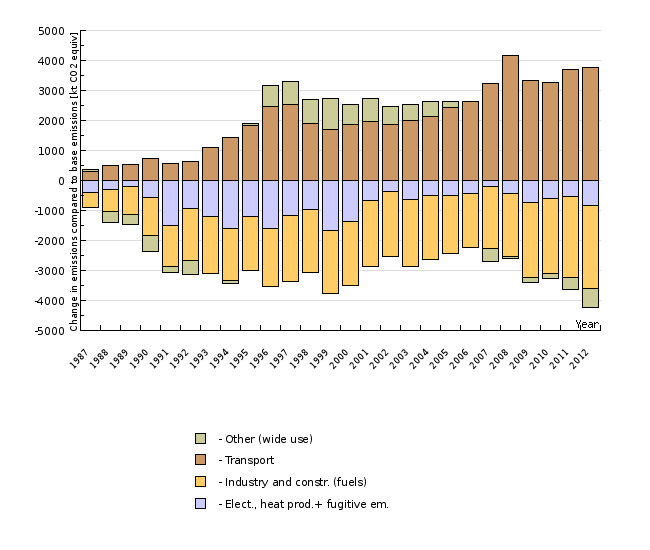 The total emissions of these resources in the first four years of the 2008-2012 Kyoto period decreased by 215 kt CO2 eq. The maximum contribution from the use of fuels (75%), within which is the biggest source of traffic. The indicator shows past energy-related greenhouse gas emissions (of carbon dioxide (CO2), methane (CH4), nitrous oxide (N2O) and F-gases), Kyoto Protocol targets in the 2008–2012 period and analyses of their trends.